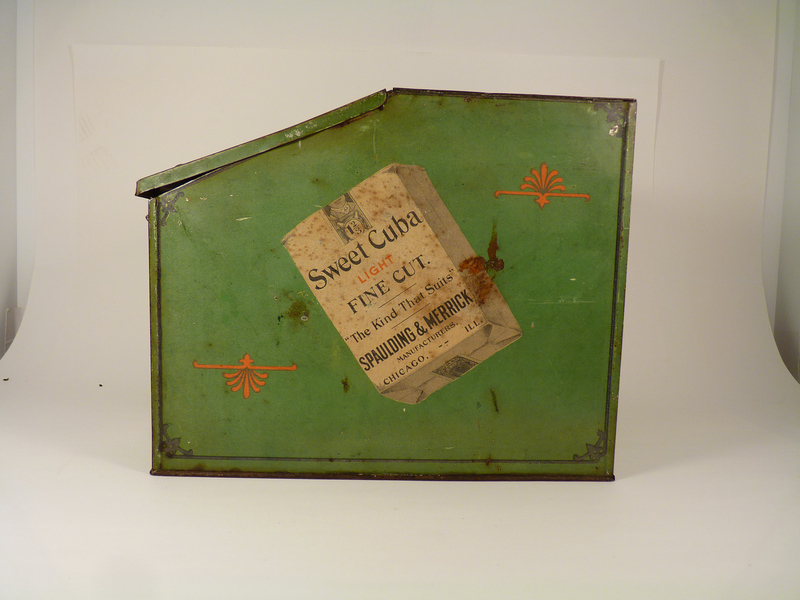 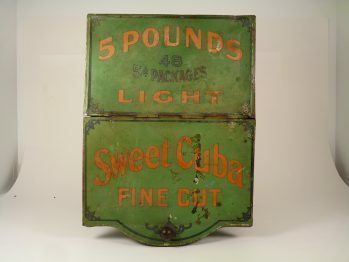 Advertising Counter Top Store Bin for Sweet Cuba Fine Cut Tobacco (Green Design). Bin has dent / bend in lid but graphics and colors are bright and attractive. Size: 10" x 8" x 8"